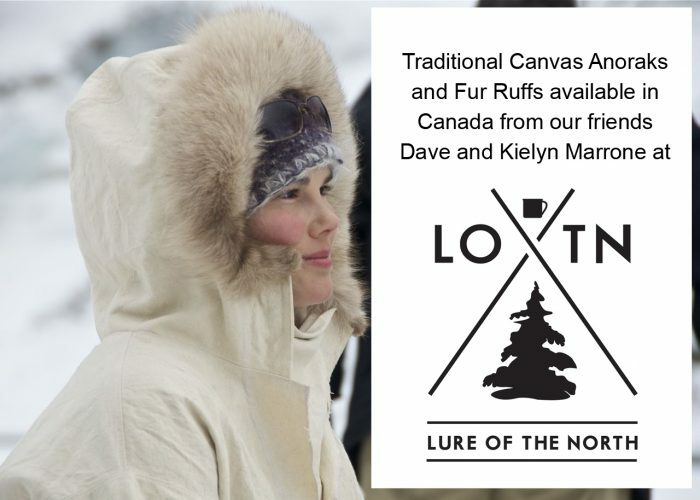 Overseas and Canadian order, please visit our friends at Lure Of The North. Their take on this design is simply elegant. Limited 2019 production run, probably in the Fall. USA Sales only. 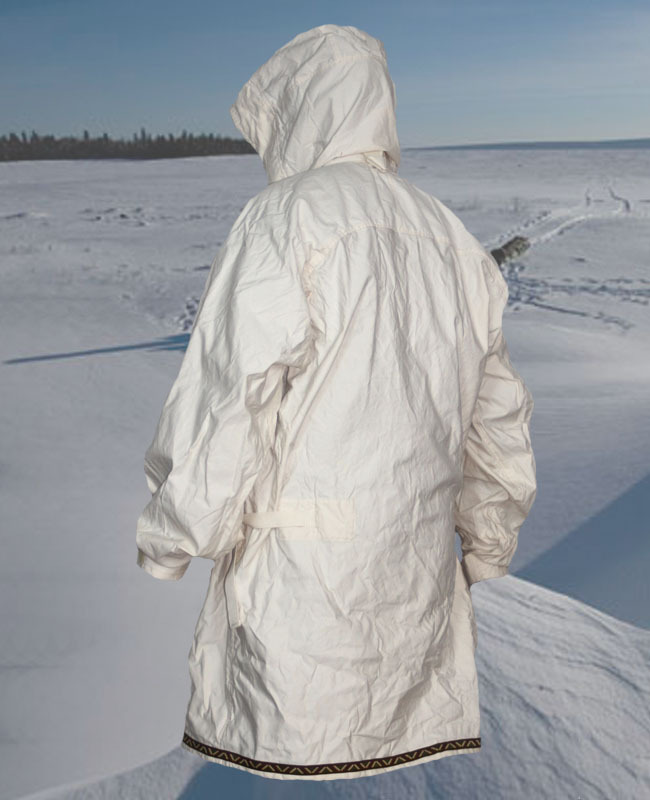 In celebration of the 20th Annual Winter Camping Symposium, it’s back. OK. This is me eating Crow. 20 years ago I moved to Duluth from ever-so-sporty Boulder, CO. 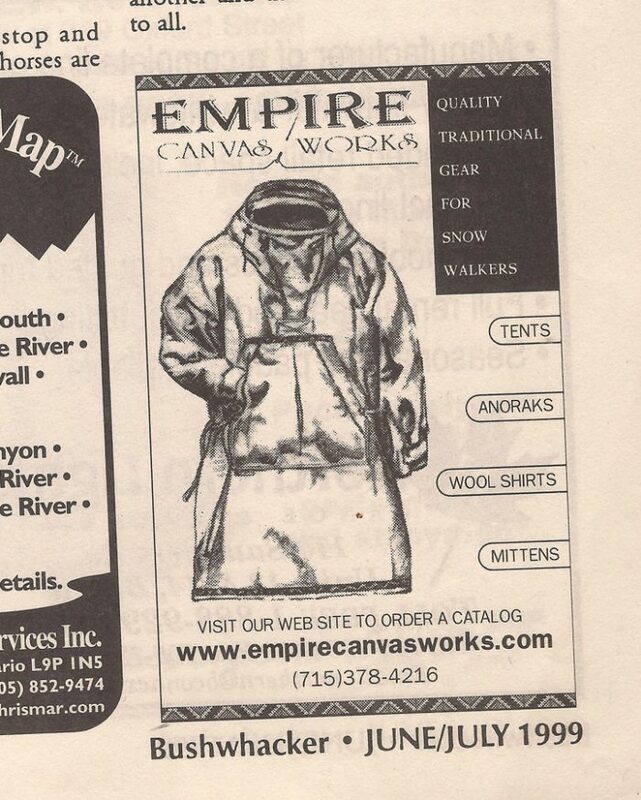 I chuckled at the Empire Canvas Works Arctic Anorak in the Duluth Pack store. How could that possibly work? Now I know. The tight weave of our pre-shrunk 6 ounce organic Cotton Canvas completely defeats the wind that robs warm air from your insulation layers. 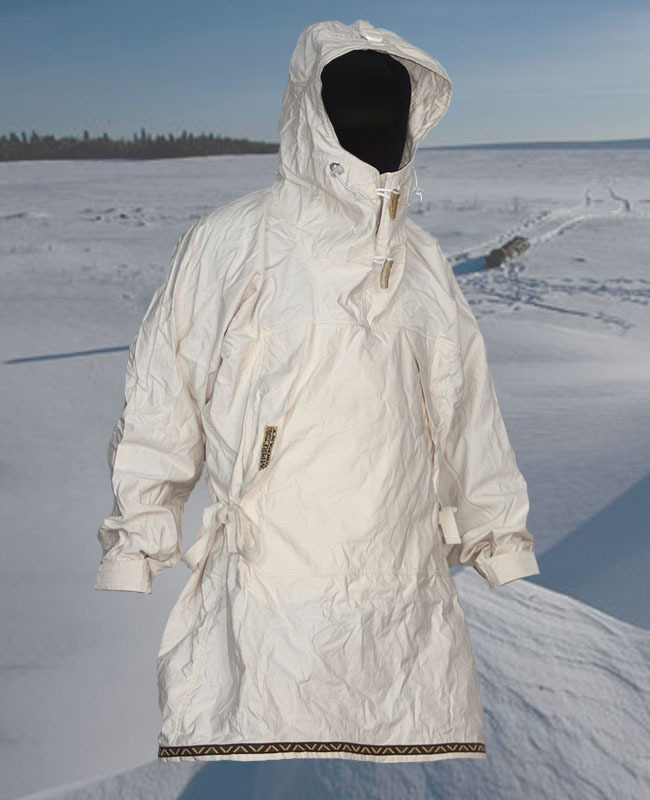 But more importantly, it allows your body’s own perspiration to escape so you stay dry and comfortable. This Spartan design was inspired by Garrett and Alexandra Conover’s book A Snow Walker’s Companion. Though the older model ranged from 7 to 10 ounce canvas, I see them in service to this day. The modified Raglan/Fly cut sleeves encourage plenty of movement. 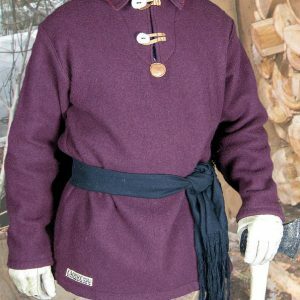 The generous cut lets you reach just about anything, and covers your fingers should you loose a mitten. 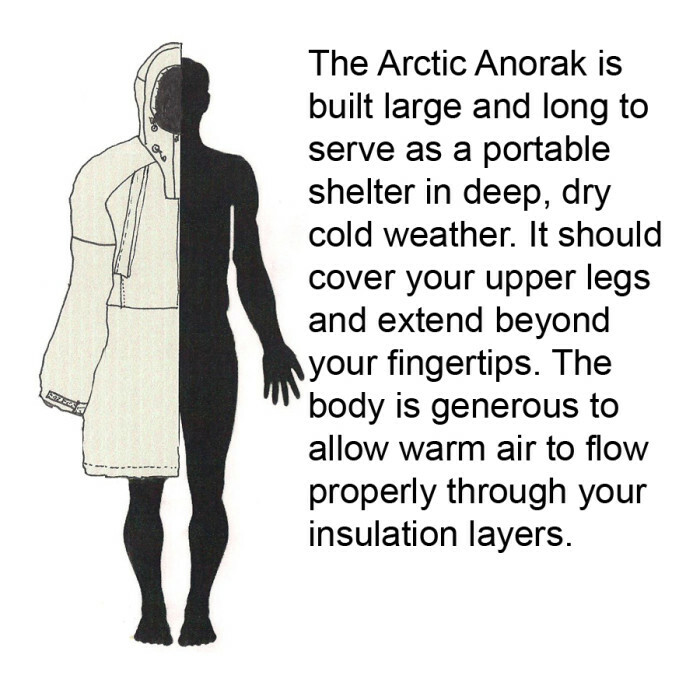 The long body protects the muscle mass in your seat and thighs. 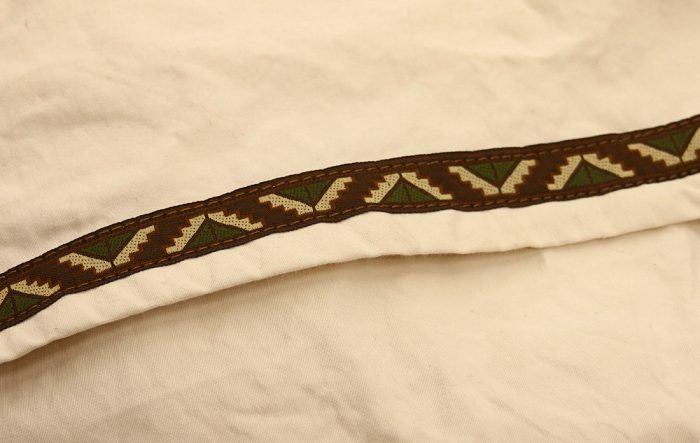 There’s a simple flat chest pocket stitched high enough for an external sash around your waist. 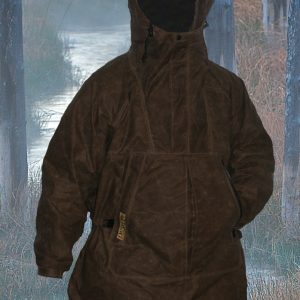 The entire pocket panel is sewn to a double layer of fabric to endure the fumbling, stuffing, and lack of dexterity common to Winter. 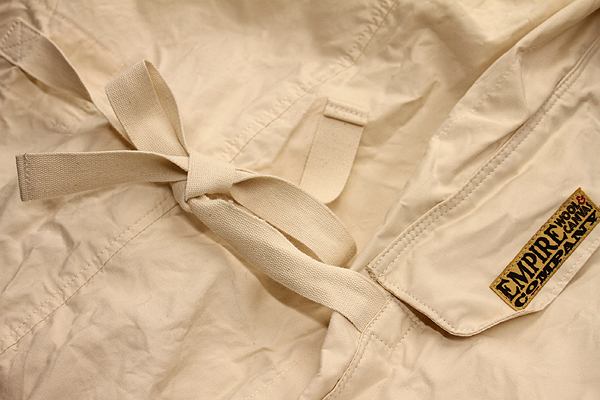 We’ve kept the simplicity and durability of the original ECW model by using cotton tape ties at the hip. Our hem is long, generous, and plain. Yes, that’s the old ribbon trim. 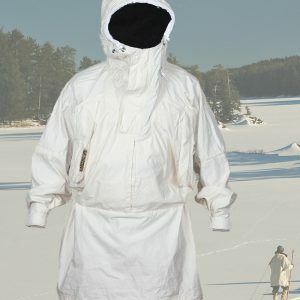 The generous shaped hood adjusts for depth whether you’re wearing a helmet or a just a toque. When the wind howls you can cinch the visor cord, and close the stovepipe gusset at the neck with our replaceable antler tip toggles. This model will not accept our removable fur ruff, but that shouldn’t stop you from tinkering. 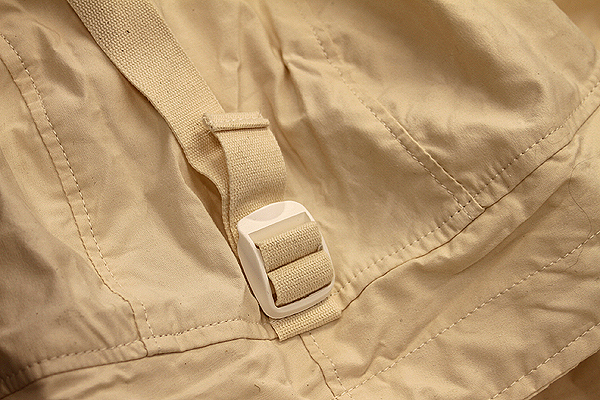 The cuffs seal with hook and loop tabs, sewn through all the adjacent layers of fabric to allow replacement. 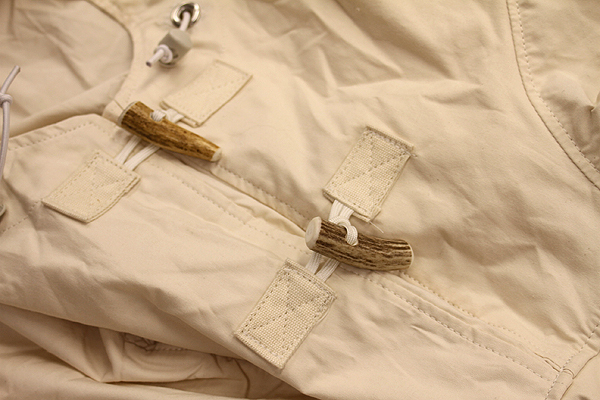 Our inner/outer hang loops are stitched to each other through the fabric. 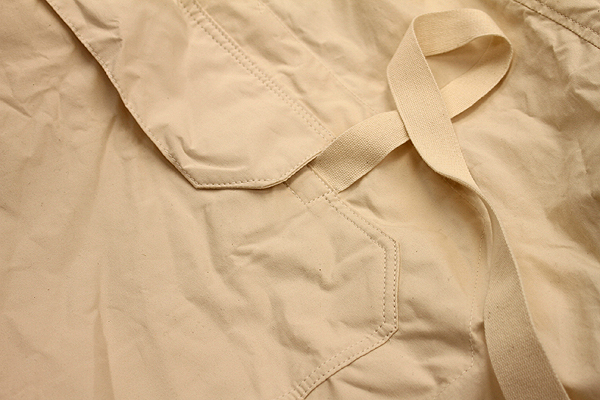 Fabric: 6 ounce organic Cotton Canvas Color: Natural. 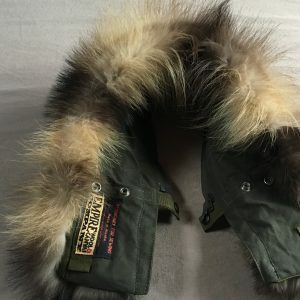 Sizes: SM, MD, LG, XL. 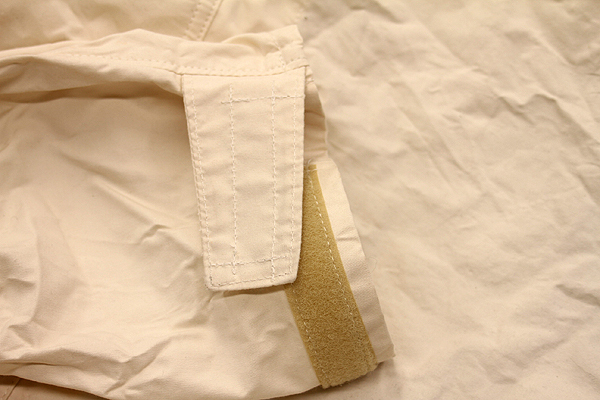 Our natural colored canvas will accept dye to suit your need for color. The hardware, nylon trim, and thread will not take dye. We recommend a fairly aggressive commercial colorant over those available in craft stores.